The UO Physics Department’s Pine Mountain Observatory near Millican in central Oregon hosts student-driven research and star viewing for the public. All UO Physics majors are welcome to get involved in PMO outreach and some physics majors are able to work on research-level observing projects through the observatory. 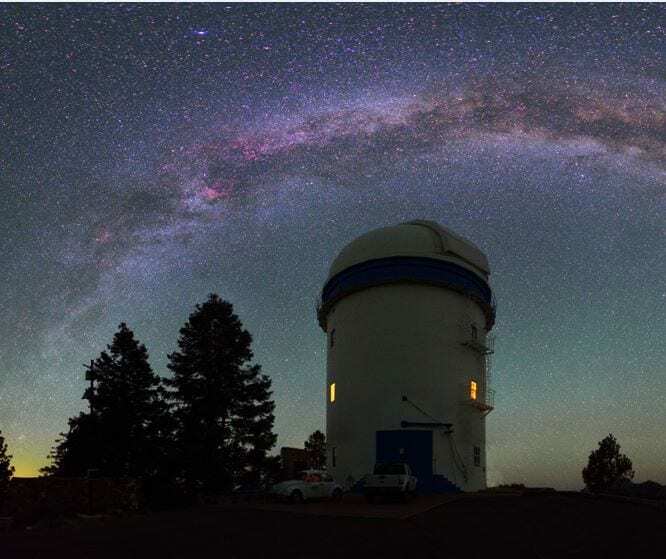 For more information about Pine Mountain Observatory visit their website: https://pmo.uoregon.edu/. For information on how to get involved in research at PMO contact Dr. Scott Fisher. 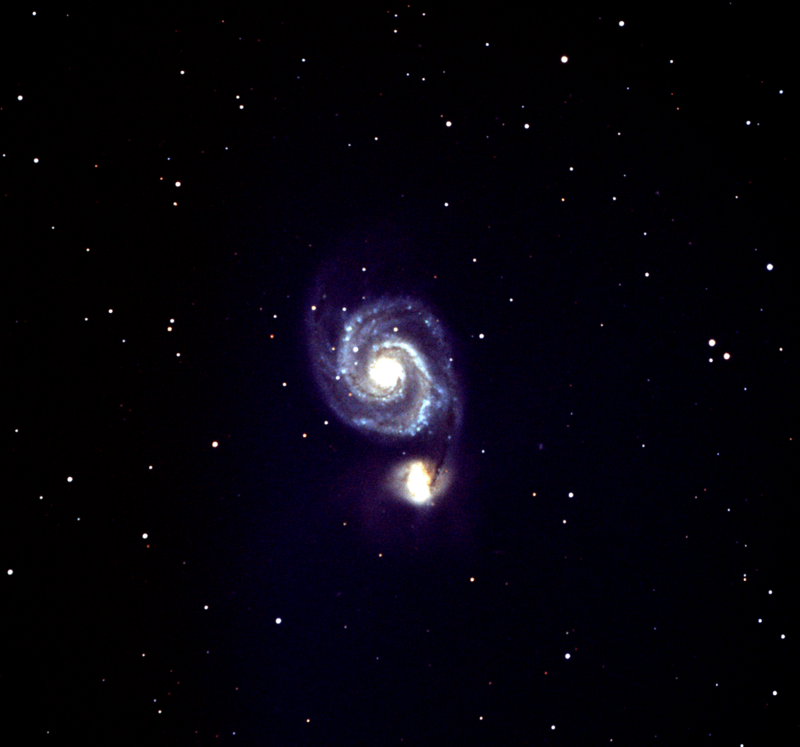 Three-color image of the M51 Whirlpool Galaxy obtained by UO Physics undergraduates at Pine Mountain Observatory. Summer 2018, Pine Mountain Observatory hosted Girl Scouts from around the country for “Reaching for the Stars: NASA Science for Girl Scouts,” camp that was designed to foster interest in STEM. PMO is open to the public and welcomes visitors on Friday and Saturday evening (weather permitting) starting Memorial Day weekend through mid-September. Click here for more information about visiting Pine Mountain Observatory.